Every now and then, one of us or one of our group may come off the bike. Thankfully most of the time, we get up, dust ourselves of and get back on the bike. But do you know what to do if someone is unable to do get back up or how do you ensure they get the right treatment? Well, we have found a FREE app that we hope will help any situation. 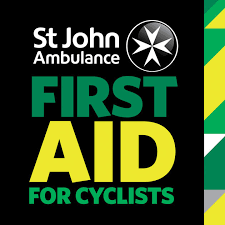 “First Aid for Cyclists” by the St. John Ambulance is available for both Android and iPhone devices. It gives simple advice and instructions on how to help and treat an injured cyclist. Copy and paste the appropriate link into your browser. It’s an app we feel is worth downloading but hope you never have to use.